Having a herb garden is another way of bringing nature in your home. This does not requrie much care or cost. Even a window sill is sufficient to grow few herbs and this also helps to solve simple health problems. Growing of ajwain plant is very easy and it has multiple uses. The leaves are very beautiful and attractive in rounded shapes. They grown in bunches and clusters and look similar to money, hence the benefit of rounded leaves of money luck in feng shui. It can be grown by cuttings from the original plant. Many smaller plants emerge from the sides of the original ajwain plant.Needs regular cutting and trimmings to keep a watch at its growth, otherwise it will over take other containers, as roots develop from the stem whereever they come in contact with soil. This is a herb. Very effective for stomach problems. (Many people make bhajiyas from the leaves and are very tasty). The leaves have beautiful ridges and must try stamp painting with this. Tolerates direct sunlight and grows profusely. needs to be trimmed often. Must begin eating them (have not tried) to keep a check on their growth! The plant has pungent and very strong smell which can be felt even from a distance. The colour of the leaves are bright green and they are feathery on the surface, almost like velvet. Grow best in hanging pots. This is also considered to be lucky plant in terms of Feng Shui as the leaves are round and any circular shape promotes good chi to enter the place. This promotes goodluck and money luck. Remember over watering can kill this and the soil has to be well drained as the stem become limp with excess water and drop. Also take care while transferring this ajwain plant. Take care till the roots are in place firmly otherwise the plant will be above the soil and loose soil will not encourage growth. This requires less water and it needs firm rooting, and once it is rooted there is no looking back for this ajwain plant! 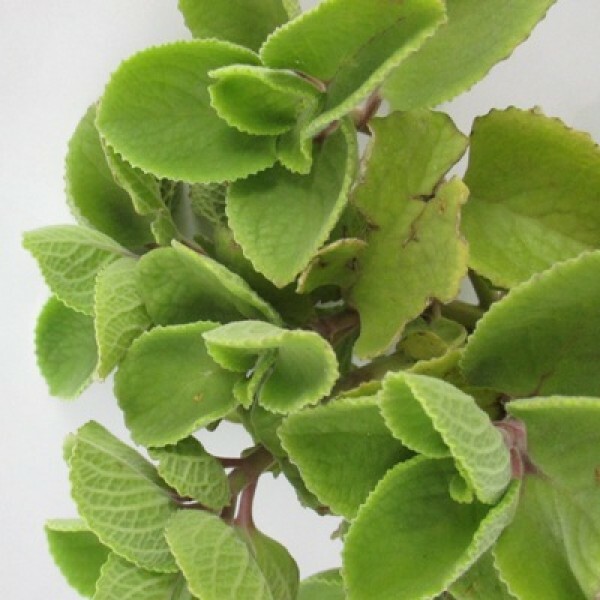 Kapporavalli plant as in tamil is a herb and can be used in many dishes as a starter or side dip for pakoras. Chutneys prepared with these leaves is healthy and colourfully green. Good for stomach aches, gives relief from gas troubles, and a very good cure for cough and colds.